Outside of North London, the name of Neil Banfield may be an unfamiliar one. 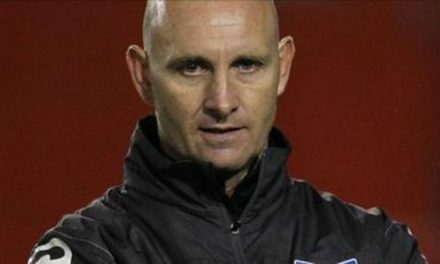 A player with a fairly modest career, less than 100 first team appearances at clubs such as Crystal Palace and Leyton Orient, Banfield upon retirement went into coaching, working his way from coaching the youth teams at Arsenal to his current role as the Arsene Wenger’s first team coach. A good to coach to watch and listen to, former centre half Banfield presented the subject of 1 v 1 defending to the London Football Coaches Association. First up was an interesting question as to whether good defending was all about the ability to fight or battle or whether it was an art form? In short, brains or brawn. While both answers had their merits, it was generally concluded that it was more of an art form. The various factors in good defending were then discussed, and were added to a diagram similar to the below. 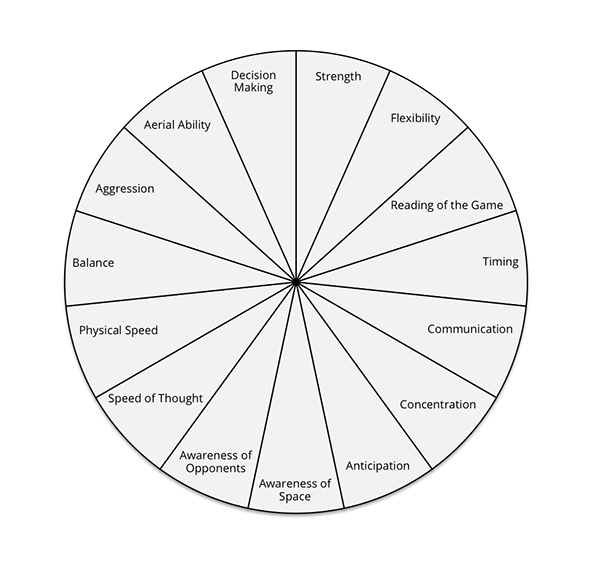 This is something that Arsenal use when assessing players’ strengths and weaknesses and share with the players – both will give an appraisal of each factor in the form of a mark out of ten, allowing the players to be aware of areas for improvement. There were undoubtedly other attributes you could add to the list, but the point was to show that there is a great deal of skill involved in defending, therefore defining it as an art form. 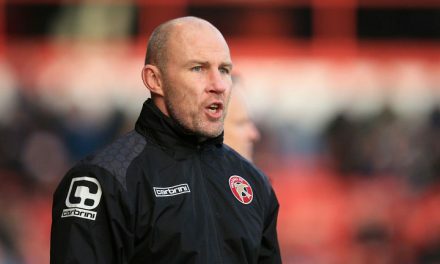 Following this discussion, Banfield put on a coaching session with youngsters from one of his former clubs, Leyton Orient with the focus on 1 v 1 Defending. Interestingly, the Arsenal coach commented that this would be a regular session for all players despite it appearing to be fairly basic. As was brought up in later discussions during the debrief, even the most experienced players he works with make basic errors on occasions. As I’ve seen from many of these sessions from elite coaches, the subject matter is used from the start of the warm-up; getting body positions correct while on the move, then introducing balls as early as possible giving players many touches before any coaching takes place. Every little technical detail was highlighted by Banfield throughout, from pivoting on the back foot when jockeying, to which foot to tackle and block with. The session moved from 1 v 1 exercises to combining with other pairs and introducing goalkeepers and feeders. Subscribe to our weekly newsletter and receive the essential practices for improving individual defending from warm-ups to technical practices and small-sided games. What was interesting again, and was also an excellent pointer to take away, is that even the goalkeepers and feeders were tested to remain switched on at all times. 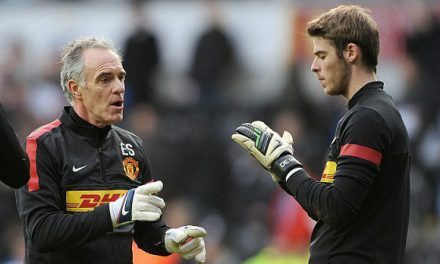 For example, if a shot was saved, the goalkeeper then had to complete a good delivery back to the feeder. Similarly, if a defender won the ball, the importance of the first pass was emphasised and picked up on – no aimless clearances were allowed, and the ball had to find another player. 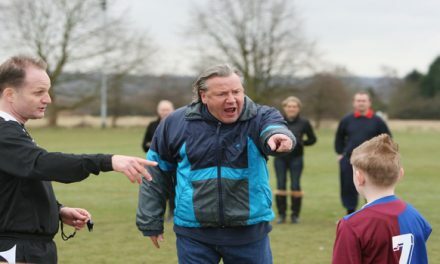 This approach seemed to be appreciated by both the young players and the coaches alike. In the debrief and discussion following, Banfield used the example of the recent Arsenal v Chelsea clash at the Emirates, where the young Spanish defender Hector Bellerin had faced up to the PFA Player of the Year elect, Eden Hazard – a daunting prospect for a any player this season, let alone one just breaking into the first team. 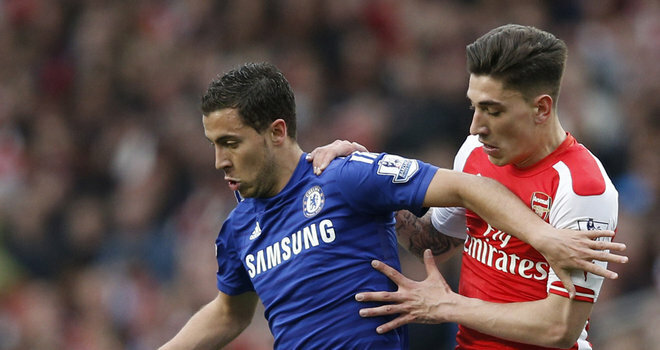 In this case, Bellerin was asked to try and force Hazard into congested areas to try and make him less effective. Banfield also admitted that Bellerin was also encouraged to test Hazard out early both mentally and physically to try and get on top of the Chelsea star and affect his confidence. It was an interesting insight into a real example at the elite end of the game, and how teams and individuals are prepared. 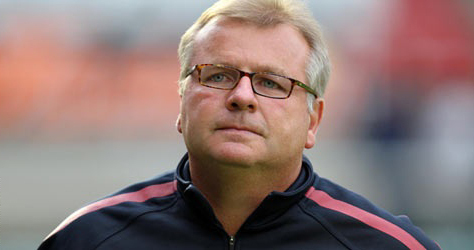 Former Arsenal coach and current LFCA chairman, John Cartwright progressed the discussion by asking about Messi, particularly in his “false nine” role of dropping into the space between the defence and the midfield, making a diagonal run across the back line forcing defenders to make a decision – do they hold their line or close Messi down. If they hold their line, Messi has the ability to run through or play the likes of Neymar in, if they close him down, it creates space for others to break in to. Banfield highlighted what he considered to be a great example of stopping Messi, that of Inter Milan in the Champions League in 2010 under Jose Mourinho. Inter won the tournament that year and undoubtedly one of the biggest hurdles was the holders in the semi final. Inter gave a specific role to the Argentinian midfielder, Esteban Cambiasso, to sit in the space where Messi would like to drop into and provide an extra level of protection. The tactic was tested to the extreme in the second leg where Inter played more than half the game with only 10 men, and didn’t concede until the final ten minutes. The discussion then moved on to other roles for a defender in the modern game, such as bringing the ball out from the back. Using the Arsenal example again, Banfield admitted that they encourage the likes of Laurent Koscielny not only to pass the ball out from the back but to be brave enough to attack space and drive out with the ball as well. This does of course require the deep lying midfielders in front to help create that space, and here a player like Santi Cazorla is better at moving to create an angle and therefore the space directly in front of the defensive line, whereas less experienced players such as Francis Coquelin may not make these movements. Banfield also used the example of players who previously had played further up the pitch being successfully deployed in defensive roles due to their comfort in possession – these included Javier Mascerano who traditionally played in midfield and Rio Ferdinand who played as a striker when younger. Banfield also suggested this was one of the reasons Arsenal signed the Brazilian, Gabriel Paulista. 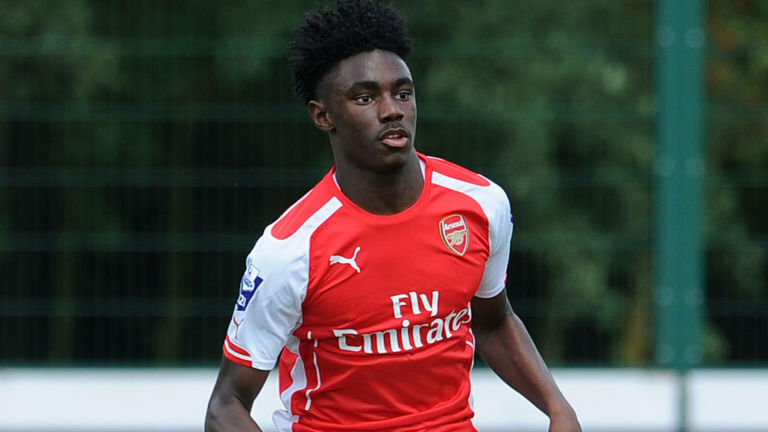 It was also emphasised how important it was that younger players play in lots of positions to gain experience, and used the example of promising young central defender, Stefan O’Connor at Arsenal. Part of his learning would be to play as a midfielder for a reasonable period of time in the development sides at the club. This will enable him to become more comfortable on the ball and make him a better all round player rather than simply a “stopper”. Throughout the session, Banfield gave an insight into the training methods at Arsenal and the way modern technology is helping them to improve the education of the players. The training pitch now includes what was nicknamed as the “drone”, a floating camera above the pitch which enables them to work on positional and tactical play including feeding back to the players. He added that previously players may not be as aware of any errors they were making, but by showing them visual evidence either on a still or video playback, they can be corrected with ease. The Arsenal squad all have club supplied iPads on to which information is downloaded such as recordings of the previous game, information on the next opponent both as a team unit and direct opposing players, and training sessions. The modern elite player works far harder on improving their game than simply a two hour training session a few mornings a week, and the staff behind the scenes are usually in the day after a match, reviewing the game and preparing the sessions for the next game. Banfield did add however, that some of the younger players needed to work harder on improving their game, criticising some for not attending the recent FA Cup semi final against Reading. The session was of real added value with not only an excellent session from someone who while being a current first team coach at a top Premier League club, also has the experience of working with the younger age groups. In addition, we also gained an insight into tactical ideas when facing the world’s best players, and the workings of an elite club and how much goes into preparing players to perform. Once again, great work from the London Football Coaches Association and plenty of coaches grateful to Neil Banfield for giving up his time to attend.